5 October: SAAF Museum AFB Zwartkop Open Fly day. 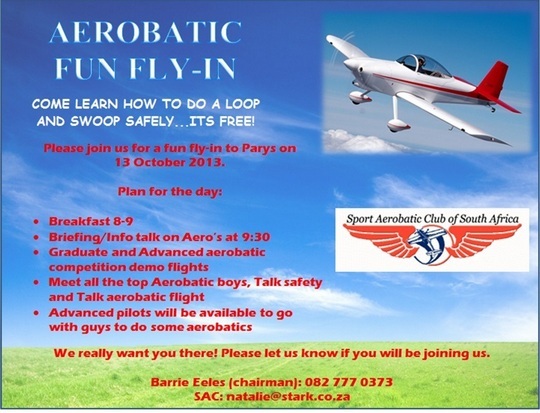 13 October: Aerobatics fun fly in. 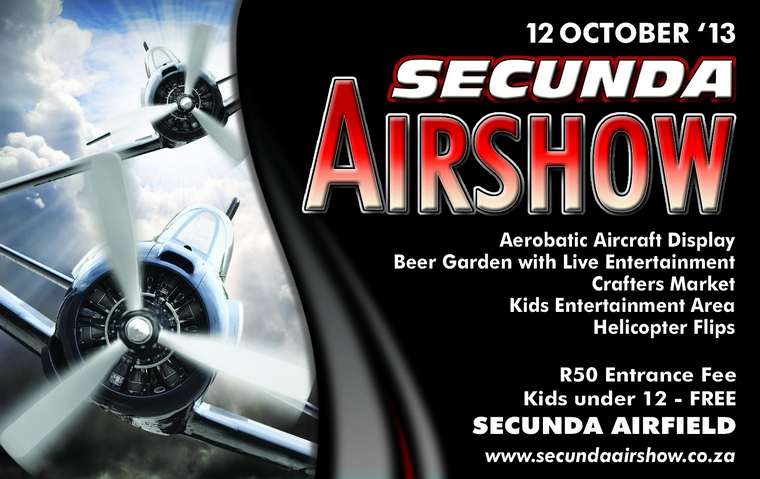 26th October: Stellenbosch RV/Warbird/Radial fly-in. We will be hosting a fun fly inn specifically aimed at the following aircraft . RV's, Taildraggers, Warbirds and Radials. However all other aircraft are welcome to fly in for the day as we will have a contest with prize money allocated to aircraft in the categories as below. Breakfast will be served from 08h00 and judging will commence from 10h00 am so please be sure that your aircraft is available . Normal procedures for landing (see www.stelfly.co.za) . Registration forms should be handed in at Pilot Registration when you park your aircraft. Aircraft must be airworthy and currently licensed. Documents available at site. Aircraft must have flown in to FASH or demonstrate flight at FASH to be judged. Only show worthy Aircraft will be judged. Judges will determine required criteria, including Condition and Cleanliness. Aircraft must be accompanied with informative display signage and a prop card for each Judge to initial after Aircraft has been Judged. RV Aircraft: Could be any RV aircraft that is Amateur Built and licensed as Experimental. Mostly a Craftsmanship and Beauty contest. Aircraft built entirely by hand could score higher than Kit Built because of the amount of skill and time consumed in building. 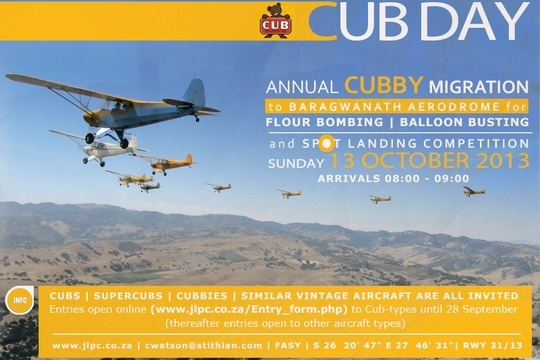 The Best of Show Award ( cash prize R10 000) will be awarded to the Highest Scoring Aircraft . If we have enough aircraft in each category, the prize money may be split into category winners . Please send me a mail at paul.roux5@gmail.com if you want to book for breakfast and if you want to enter your aircraft . September was another month in which we were spoiled for choice with a number of awesome shows and events. 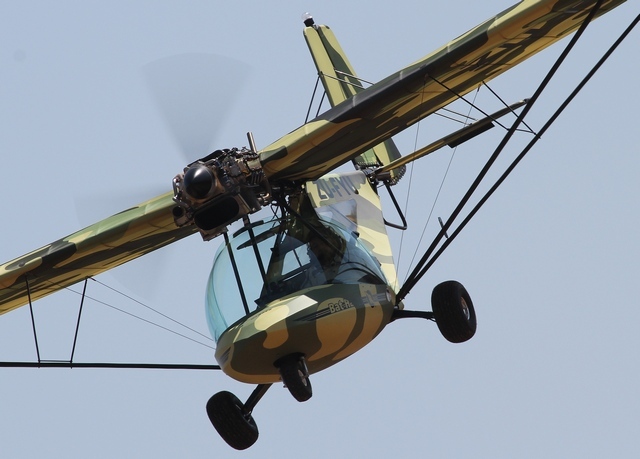 Zandspruit raised the bar as far airshows are concerned and Rand took up the challenge and presented what was probably the best show ever at this historic airfield. We off course reported on them all as well as on Flying Legends which Mark Mansfield visited and that was one of our most popular articles. Little wonder then that we ended up with almost 41,000 for the month. We asked you to tell us whether you like our new home page and with one exception every one that responded does. As promised we will soon start adding a short video to our weekly updates and we welcome your ideas as to what you would like to see in Pilot's Post. Our Facebook Group that we started in March now boast almost 800 members and is an easy way to keep in touch. If you haven't yet joined, please do. Our advertisers report excellent results with one that has been with from day one reporting five orders with another two possibilities from last month alone. Please feel free to contact us; we can structure a campaign to suit your budget. Until next month, keep on visiting. OSHKOSH AIRVENTURE TOUR BOOKINGS NOW OPEN. Reserve you seat for the World's Greatest Aviation event. Our 2014 tour departs on Saturday 26th July arriving in Oshkosh the next day. The show begins on Monday 28th July and runs right through to Sunday 3rd August. We depart Oshkosh on Monday 4th August. Tour A - R16 850* per person sharing plus airport tax (aprox R7 600). Add R 1 400 for single person supplement. Departs Johannesburg at 19h15 Saturday 26th July 2014 on Air France, flying via Paris. We arrive in Chicago at 15h30 the next day. The flight home departs Chicago on Monday 4th August at 17h10 on Air France and arrives in Johannesburg on Wednesday morning at 09h50. Passengers choosing this flight are advised to get a Shengen Visa, you have a day in Paris on the way home. Tour B - R17 800* per person sharing plus airport tax (R8 400). Add R 1 400 for single person supplement. Departs Johannesburg at 20h25 on Saturday 26th July on Delta Airlines, flying via Atlanta. We arrive in Chicago at 12h08 the next day. The inbound flight departs Chicago at 16h15 on Monday 4th August on KLM, arriving in Johannesburg on Tuesday evening at 21h15. The Amsterdam - Johannesburg leg is a daylight flight with a short layover in Amsterdam. Tour C - R18 250* per person sharing plus airport tax (R7 800). Add R 1 400 for single person supplement. Departs Johannesburg at 23h15 on Saturday 26th July on KLM arriving in Chicago the next day at 14h15. Tour D - R19 500* per person sharing plus airport tax (R8 000). Add R 1 400 for single person supplement. Price of above tours incudes airfares ex Johannesburg, transfers between Chicago and Oshkosh, EAA camping fees, accommodation in tents with bedding, breakfasts, tour cap and T Shirt and use of campsite facilities. Price does not include air show entrance and meals other than breakfast. Tour E - R6 320* per person sharing. Add R 1 400 for single person supplement. If you have Voyager Miles or will already be in the USA you can join us in Chicago. Price includes transfers between Chicago and Oshkosh, EAA camping fees, accommodation in tents with bedding, breakfasts, tour cap and T Shirt and use of campsite facilities. Price does not include air show entrance and meals other than breakfast. Breakaways can be arranged should you want to leave Johannesburg earlier or stay longer in the USA. You can also breakaway in Europe. Pax must travel one complete leg with the group, either outbound or inbound. Breakaway fee is R750 plus any change in airfare. R0.50c variation will alter the price by 3.5% (ie. Should the Rand weaken to R10.50 to the dollar the price for Tour A will be R16 850 plus 3.5% - R16 850 + R539 = R17 498, should it strengthen, R16 311). Airport Tax changes on a weekly basis and is determined by the Rand / Dollar exchange rate and current oil price. Name as it appears in your passport, passport number, expiry date, date of birth, tour option (A, B, C, D or E). RHINO FORCE is proud to announce a partnership with international beneficiary �Save the Rhino International (SRI)�, a renowned rhino conservation organisation that works to conserve all five species of rhinos in Africa and Asia. The RHINO FORCE bracelet significantly beaded with red, black and white beads will now be sold internationally, to raise awareness and funding for SRI's urgent rhino programmes on both continents. Registered in 1994, Save the Rhino International recognises that the future of wildlife is inextricably linked to surrounding communities. By funding field projects and through education, SRI delivers long-lasting and widespread benefits to rhinos and other endangered species, ecosystems and to the people living in these areas. The funds raised are used to support projects that address rhino conservation through a number of measures. 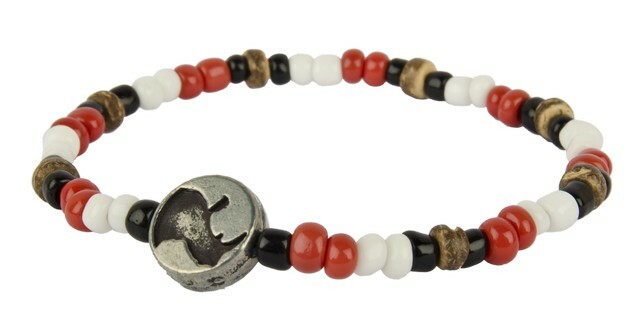 The original RHINO FORCE bracelet, launched in June 2011, is synonymous with rhino conservation, and remains a South African best-seller, having facilitated and raised over R4.6 million to date. RHINO FORCE believes in urgent, immediate and direct action, supporting one of the International Union for Conservation of Nature's (IUCN) principles of translocation as a method to save a species from extinction. Recently, the bracelet organisation facilitated funds for a translocation of six white rhino from South Africa to Botswana - a safe haven in terms of security and monitoring. Relocating rhinos to suitable habitats spreads them out over a larger area, and enables rapid growth rates, and is why we have 400 separate populations in 9 African countries today. This global alliance allows RHINO FORCE, a commercial company, to support and financially assist SRI's conservation of the species in Africa and Asia, where they face critical threat. Over 500,000 local and international supporters have donned the conservation accessory to show their support, and raise awareness of the critical threat our rhino populations face - three of five species are listed as �critically endangered� on the IUCN red list. To help save rhinos in Africa and Asia buy a bracelet online www.thebeadco.co.za, they will post anywhere in the world. WELCOME TO THE BLUE SKIES! At Accolade Flight School, we're all for delivering the best assured flight training in the sky. We know that a pilot doesn't work from 9 to 5. We also know that every second that passes, without being surrounded by sky gets you a little closer to insanity, which is why our services will get you up and going, with the highest standards in aviation. At Accolade, you can start with your Private Pilot's License and continue right through to become a qualified Commercial Pilot. 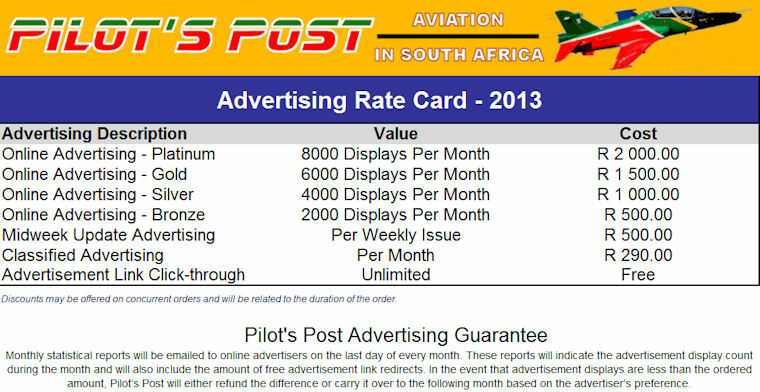 We offer Night Ratings, Instructor Ratings and Type Ratings on specific aircraft. We are also equipped to do Gyro Copter Training as well as National Pilots Licenses. Besides all of this we also provide ground school for Private Pilot's theory and Commercial License Theory and best of all is that we are the only flight school in Gauteng that has its own private airfield! As we spent some time having fun in aviation, we soon realized that there are a few things missing in the industry. The first concern was the lack of a support system for new freshly-trained pilots entering the world of aviation. Another concern was the fact that these pilots were clueless as to how aviation works and found themselves simply being pushed through the system and given a number on their price tag. There was no one to give advice on making big career decisions. The last concern was the fact that most of them were being trained in a system with under experienced pilots, who couldn't bring anything new to the trainee's perspective of the whole aviation arena. We've committed ourselves to implementing the �Godfather Principle� in our flight school. This involves appointing a dedicated person to every new pilot. This person is accountable for the new pilot from the start of his/her career until he/she is fit to be responsible for a new pilot. We also pride ourselves on a high quality training environment, with highly qualified instructors with enough experience to bring their own skills to the training environment. The JianJiao-7 (JJ-7, export name: FT-7) is the two-seat fighter-trainer version of the Chengdu J-7 (MiG-21 Fishbed) fighter, made by Guizhou Aviation Industry Group Co (GAIGC) since 1981. The JJ-7 was developed from the J-7II airframe and resembles the Russian MiG-21U Mongol-A fighter-trainer in design and general performance. The PLA is currently looking for a successor to the JJ-7 as its next-generation advanced fighter-trainer aircraft, with the Guizhou JL-9 and Nanchang Hongdu JL-15 being the potential candidates. The PRC obtained an example of the MiG-21U from Egypt in 1979, and the aircraft was later handed over to Guizhou for reverse-engineering. The aircraft made its maiden flight in July 1985 and was certified for design finalisation in 1987. The JJ-7 production began in late 1987. A s well as serving with the PLA, the aircraft was also sold to foreign customers under the designation FT-7. 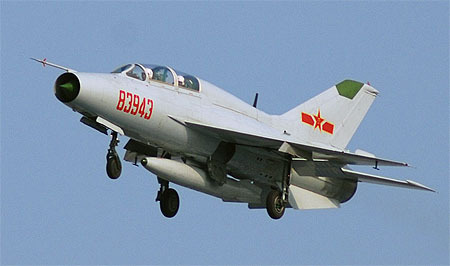 The JJ-7 has been widely used by the PLAAF and PLANAF for J-7 and J-8 pilots training. Generally similar to the J-7II fighter in aerodynamic performance, the JJ-7 has increased take-off/landing speeds and is less manoeuvrable. The aircraft provides a poor cockpit visibility, particularly for the trainer seated in the rear cockpit. As a two-seat variation, the JJ-7 has a second cockpit added for the trainer. One more vertical fin is fitted to maintain the stability after the body change. As the second cockpit reduces the size of the main internal fuel tanks, the aircraft has an enlarged dorsal spine behind the cockpit to provide additional space for extra fuel. The two canopies are both to be opened to the right hand. A periscope could be used by the trainer in the rear seat during the take-off and landing. The JJ-7 has dual flight control systems and an intercom for communications between the two pilots. For training purpose, the aircraft is equipped with a fault simulation system that can control the aircraft to simulate various emergent situations. A flight information recorder can record the flight data for later analysis and reviewing. The aircraft is also fitted with improved air-conditioning. The aircraft is powered by a WP-7B turbojet engine rated at 43.15kN dry and 59.82kN with afterburning. On-board avionics include a Type 226 ranging radar, SM-8AE optical sight, CT-3 radio, BDP-4B horizontal direction indicator, and LZ-2-II compass. Later variants were also fitted with head-up displays (HUD) and radar warning receiver (RWR). The JJ-7 retained some combat capability, with a 30mm Type 30-I cannon carrying 60 rounds fitted in the lower fuselage. The centre fuselage station is bumped to carry a 720 litre drop tank. The two under-wing stations can carry two 480 litre drop tanks, or armaments such as PL-2 or PL-5 air-to-air missile or unguided rocket launcher. The improved JJ-7P has four under-wing stations to carry additional armaments. 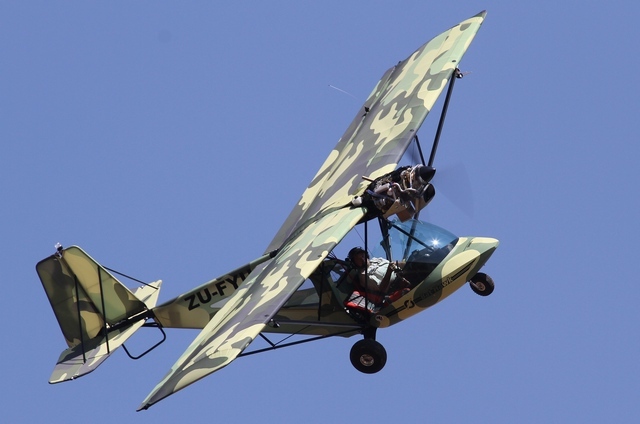 The Micro Aviation B22 Bantam is a New Zealand �microlight aircraft� designed and produced by Max Clear in New Zealand. Several major design changes were incorporated into the Bat Hawk, which included a larger six-cylinder Jabiru engine with more substantial cheek plates and engine mountings and increased all up weight to 540 kg, stronger main gear, larger 'bush' tyres, improved brakes, increased fuel tank capacity to 80 / 100 litres, zip open / close luggage area, MGL EMS, stronger wing spars and wing struts, re-designed more streamlined nose pod and a much larger windscreen for improved visibility. Perhaps the most obvious visual change is the fact that the new larger windscreen is now positioned forwards of the front no.1 down tube, thereby creating a much roomier cockpit. There is a big demand for this LSA aircraft in the surveillance and conservation industries and Micro Aviation believes that contrarily to what is published, the Bat Hawk is the only true 'bush-plane' on the market. �Other manufacturers advertise 'bush planes', but they all have propellers that are far too close to the ground, which are damaged by grass, sticks, stones and sand. On the other hand the Bat Hawk has its engine and propeller installed high up out of the 'damage area' and also very importantly,� out of the pilot's line of sight�. All of the other supposed 'bush planes' have high instrument panels which severely limit and restrict outward visibility. The Bat Hawk's cockpit is very similar to that of a helicopter with excellent forward visibility as well as to both sides. All parts and materials have been sourced in South Africa, fabricated and approved.